Data visualisation is a discipline that uses graphs and charts to easily communicate large chunks of data into easily digestible formats. When it comes to personal finance, data visualization has been used to create useful dashboards where users can keep track of their spending, income, and budgeting. 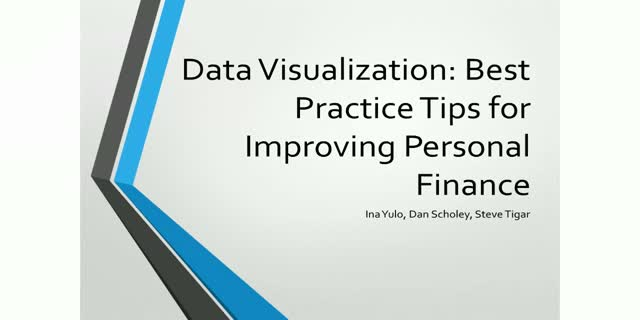 -Why is data visualization so useful when it comes to personal finance? -What are the best data viz tools/apps for personal finance? -What are customers missing from banks that personal finance fintechs are able to provide? -What are the best practice tips for using dashboards and apps to improve personal finance? -What are some common mistakes people make when managing their personal finances? -What are some common misconceptions of data visualization?